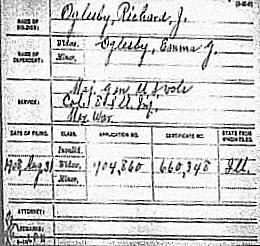 Richard J. Oglesby, Republican from Macon County was next on Jan 16, 1865. He was born in Floysburg, Oldham, KY on July 25, 1824. He was orphaned at a young age and raised by his Uncle in Decatur, Macon, IL. He received only limited schooling and worked as a farmer, rope maker and carpenter. He was admitted to the Bar in 1845 and began the practice of law in Sullivan, Moultrie, IL. He served for two years in the Mexican War as 1st Lt. in Co C, 4th Illinois Regiment. He then spent two years mining in California then returned to Decatur and practiced law there. He was elected to the State Senate in 1860 and served for one session before resigning to serve in the Civil War. He served in the Union Army as Colonel, Brigadier General and Major General of the Eight Reg., Illinois Volunteer Infantry. He served as Governor of Illinois from 1865-1869 and then was re-elected in 1872 and served from Jan 13, 1873 to Jan 23, 1873 when he resigned to serve in the U.S. Senate for which he was also elected. He served there from Mar 4, 1873 to Mar 3, 1879. He declined to run for the Senate again and was elected Governor again to serve from 1885 to 1889. He retired to his farm, "Oglehurst" in Elkhart, Illinois. He died there Apr 24, 1899 and is buried in Elkhart Cemetery. He married Emma Gillette Keys and they were the parents of John Gillett Oglesby, born Mar 19, 1873, Decatur, and Macon, IL. John was Lt. Gov. 1909-1913 and again 1917-1921. John died May 26, 1938. Alphabetical List of Officers of the Regular army (From It's Organization, September 29, 1789, to 1903) Who Were Killed or Wounded in Action or Taken Prisoner, With Date and Place. been set in the side of the bluff about 30 feet above the water. The lower battery had nine 32-pounder guns and a 10-inch columbiad, and the upper mounted a rifled gun carrying a 128 pound conical shot and two 32-pounder carronades, while the armament of the fort proper consisted of 8 guns of heavy caliber. In the rear of the fort a line of rifle pits extended from Hickman creek to below the town of Dover, and along this line were 8 field batteries, numbering probably 40 guns. surrender, to move down the Tennessee and Mississippi and ascend the Cumberland to assist in the assault on Fort Donelson. Foote left Cairo on the 11th with the 4 ironclads, St. Louis, Carondelet, Louisville and Pittsburg, and the two wooden gunboats, Tyler and Conestoga, expecting to form a junction with Grant on the 13th at the farthest. division, including the brigades of Cols. W. E. Baldwin and J. C. Brown Johnson's left wing, consisting of the brigades of Cols. A. Heiman, T. J. Davidson and John Drake; Floyd's division consisting of the brigades of Cols. G. C. Wharton and John McCausland; the regular garrison, embracing the 30th, 49th and 50th Tenn. and commanded by Col. J. W. Head, and Forrest's cavalry. range, disabling one of the 32-pounders in the lower battery, but a shot from the rifled gun in the upper battery entered a porthole in the vessel, damaging her machinery and causing her to withdraw out of range. Toward evening the fleet arrived, bringing transports laden with reinforcements and, what was more welcome, supplies, as the men had left Fort Henry in light marching order with but one day's rations in their haversacks. Wallace, who had been ordered up from Fort Henry, arrived on the 14th and was assigned to a position between Smith and McClernand most of the reinforcements being added to his division, Skirmishers exchanged shots at intervals during the day and from time to time the gunners in the batteries fired a few rounds to try the range of the guns. positions, rations and ammunition were issued to the men, and when night came the men bivouacked without fires, resting on their arms so as to begin the assault as soon as the command might be given. Buckner says it was decided at a council on the morning of the 14th to cut a way out that day and that preparations were made for such a movement, but the order was countermanded by Floyd. That night another council was held, at which it was agreed to make a sortie at daybreak on the 15th, and if it was successful to retreat to Charlotte by the Wynn's ferry road. Pillow was to begin the attack on McClernand's right. And this was to be followed by Buckner in an assault on the center of the division, driving it back on Lew Wallace and opening the way to the road, after which Buckner was to cover the retreat. Accordingly at 6 a.m. Baldwin's brigade moved out and was soon engaged with Oglesby. McArthur hurried up and formed his command on Oglesby's right, gradually widening the distance between his regiments and prolonging his right into a skirmish line. Oglesby moved the 18th Ill. to the right to strengthen the line and brought up Schwartz, battery, which opened a destructive fire on the enemy's advancing column. Pillow sent the 20th Miss. to Baldwin's support, but it was quickly forced to retire behind a ridge for shelter. Johnson's brigade next moved forward through a depression in the ground and succeeded in turning McClernand's right. McClernand sent to Lew Wallace for assistance and Cruft's brigade was ordered to the right, where it managed to check the enemy and for a time held its position. Deeming that the time had come for him to act, Buckner advanced a part of his division against W. H. L. Wallace's brigade. McClernand sent Taylor's and McAllister's batteries to Wallace's support and Buckner failed to break the line, his troops retiring before the destructive fire of the artillery. Fresh regiments were now hurled against Oglesby, whose ammunition was exhausted, and his men began to fall back. The enemy swept around his flank and appeared in the rear, isolating Cruft's brigade, which also retired. One regiment of Oglesby's command-the 31st Ill., commanded by Col. John A. Logan-held on after the others retreated and continued the fight until every cartridge box was empty. Logan was wounded in the thigh, but still kept his post. When his regiment was finally compelled to fall back for want of ammunition he had his wound dressed and again went to the front. As the 31st retired the 11th Ill., under Lieut -Col. Ransom, wheeled into the position and held it until charged by Forrest's cavalry, when it, too, retreated. last sally from Fort Donelson." regiments of the brigade, the 25th Ind., the 2nd, 7th and I4th Iowa, rushed in and planted the national colors over the works. This occurred while Buckner was engaged in trying to carry out Pillow's order to pursue the retreating Federals. Later he came back and vainly tried to dislodge Smith, but the latter was there to stay. When Lew Wallace heard the sound of Smith's attack he ordered his line to advance against the ridge held by Drake's brigade and the 20th Miss. The 11th Ind. had been drilled in Zouave tactics, which now came in good play. Falling to the ground when the enemy's fire was hottest, then springing to their feet and running forward when it slackened, all the time keeping up a well directed fire, they gradually forced the Confederates back toward their works on the summit of the ridge. When near the ridge the Unionists commenced loading and firing as they advanced. Unused to this style of warfare the enemy gave way. The supporting column hurried up at this juncture, pressed the advantage gained and drove the Confederates within their works. The road to Charlotte was closed and the opportunity to escape had passed. That night the Confederate generals held another council of war. The session was somewhat stormy, the criminations and recriminations between Buckner and Pillow growing at times especially bitter. Scouts were sent out to ascertain the position of the Federals and came back with the information that the Union lines occupied the same position as before the sortie. Some of the generals doubted the correctness of this statement and other scouts were sent out who came back with the report that every foot of ground from which the Federals had been driven in the morning had been reoccupied. Pillow still clung to the notion that they could cut their way out. which in places came up to the saddle-skirts, and reached Nashville the following Tuesday. About 200 of his men refused to go and were surrendered. Pillow and his staff crossed the river in a small flatboat and walked to Clarksville. About daylight two steamboats, which had, been sent up the river with prisoners and wounded Confederates, returned to the fort. Floyd took possession of the boats, embarked four Virginia regiments and steamed off up the river, leaving the 20th Miss. of his brigade behind. Confederate army and the number of prisoners surrendered. McClernand, in his report, says: "Our trophies corresponded with the magnitude of the victory; 13,300 prisoners, 20,000 stands of small arms, 60 pieces of cannon, and corresponding proportions of animals, wagons, ordnance, commissary and quartermaster's stores fell into our hands." But the most important result of the fall of Fort Donelson was the opening of the Cumberland River to the passage of the Union gunboats and transports and the breaking of Johnston's line of defense.